Back in 2015 we published an article where fans of Jaws which was celebrating 40 years that year shared their memories of the classic shark movie. Mega Jaws collector, Jim Beller, writer, Bryan Young and super Jaws fan, Joe Fortunato were just some of the memories we shared. We just had to publish the article again. 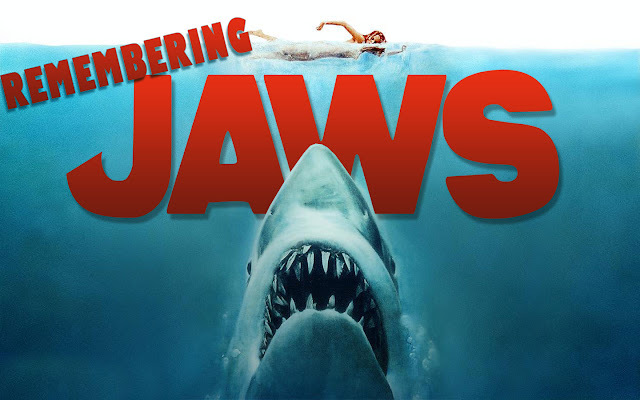 To celebrate Steven Spielberg's Jaws turning 40 we asked fans of the movie what their memories are of the classic shark movie that hit cinema screens across America on June 20th 1975. "I can remember being about 10 years old watching Jaws at a friends house. 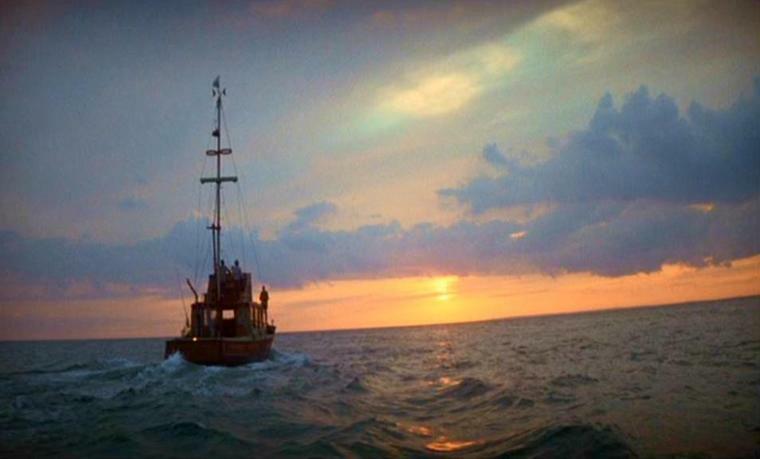 Ben gardeners head in the boat terrified me and the sharks sudden cage attack on Hooper made me jump out of my skin!" "Hooper and Quint, the on screen clash of characters is fantastic." "My Mom and Dad were sceptical to take my Brother and I with them to see JAWS at the drive-in theater during its original 1976 theatrical release due to our age (I was 6, my Bro 8) and how SCARED we'd potentially get as none of us knew what to expect, but, my Dad had to see it, so, we ALL took our chances. - - I guess their main concern was me, 'cause as soon as JAWS bit off dude's foot and we're all watcin' a disembodied bloody white ''Vans'' type of shoe plummet to the ocean floor (my Mom tells this story 'til this day), they're expecting a different reaction than me blurting-out while it's falling: ''Hey! He was wearin' the same kinda shoes just like the one's that Daddy wears!!!'' and they all laughed at me, but, THAT pretty much told how the rest of the movie was gonna go for my (supposed to be scared?) 6 year old self! . . . . . . ALSO: They'd bought us matching movie poster T-shirts to wear to school that year (1976 I was in 1st grade) Got told by the teacher or principal to NEVER wear my ''T-shirt with the naked lady swimming on it'' to school again, but, it was okay for ''show and tell'' that day 'cause I was dressed to show-off my brand-new (licensed!) JAWS toy, which, was not so much an ''action figure'' as it was more like an eight inch hard rubber shark sculpture with a JAWS LOGO (on its ''Minnie Pearl'' tag and embossed on its ''soft white underbelly'') that OTHER action figures and stuff would FIT into ''his'' opened sharp toothed mouth and hollow body! ~Good memories!~"
"Jaws on DVD. I bought it and insisted on watching it with my then girlfriend instead of going out to do something. She ditched her friends to sit and watch it with me, and as the movie unfolded I came to the realization that any girl who would ditch her friends to watch Jaws with you was a keeper. Right in the middle of the USS Indianapolis speech I paused the disc, asked her if she thought like getting married, and the answer was yes. Jaws has always held a special place in my heart and that first DVD copy I own is particularly special to me."